designed to help couples invest in their relationship and build a strong marriage. ​The Marriage Course was developed in 1996 by Nicky and Sila Lee (authors of The Marriage Book) for couples looking for practical support to strengthen their relationship. 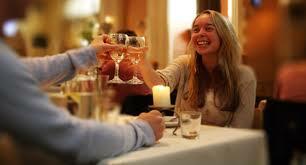 ﻿On The Marriage Course, you are seated at your own table for two. Each session consists of food and/or drink, a practical talk and a time for private discussion between you and your partner.